Can I already predict which we will enjoy the most, as a business and as human beings? 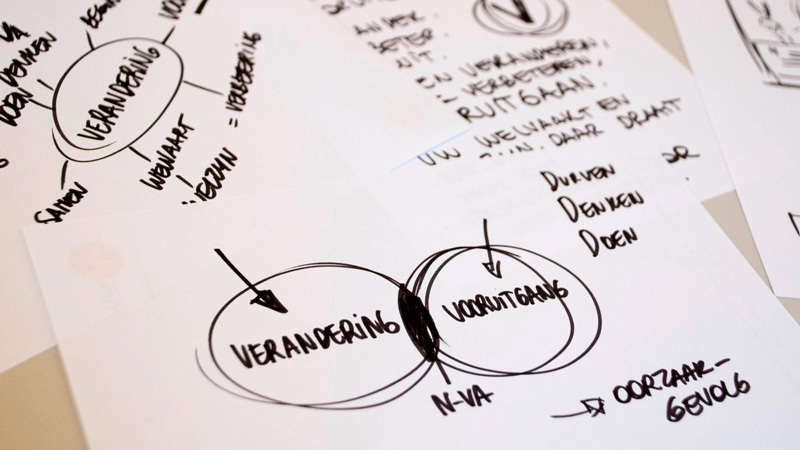 The N-VA as a potential client – it's intriguing, but our working relationship might end after the elections in May 2014. The city's communication is a more long-term project from the get-go, so it's probably more interesting from a business perspective. 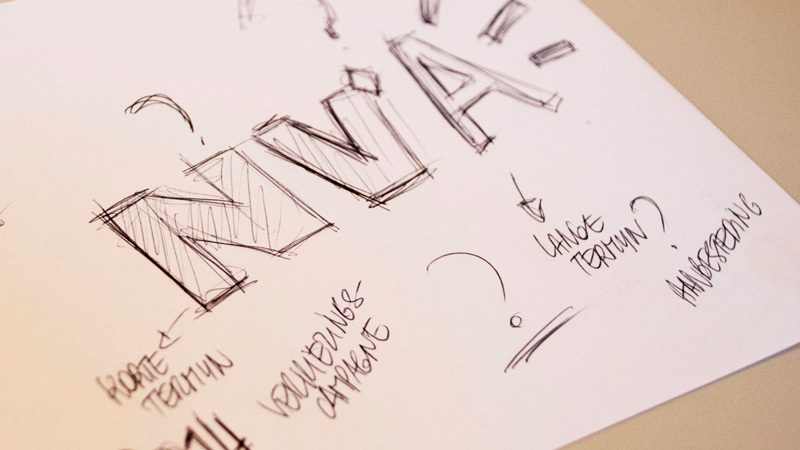 After all, Brandhome has to continue beyond today – there are bills to pay. 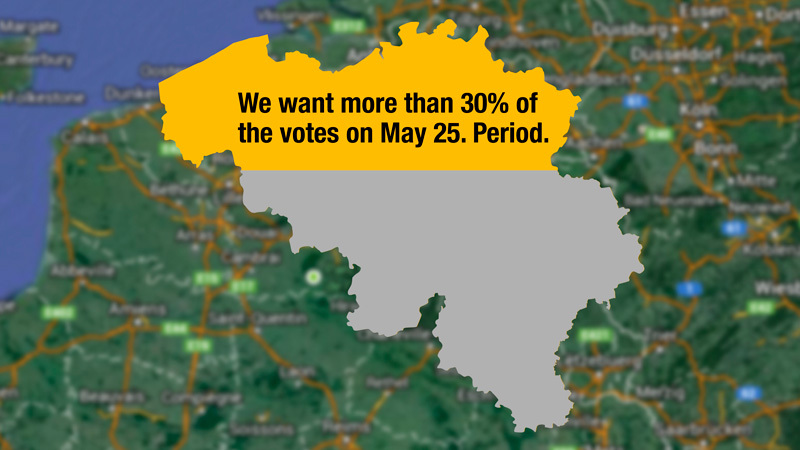 The goal of the N-VA is breathtakingly simple: "We want more than 30% of the votes on May 25. Period." And another point: "No one should be able to get around us; it's that simple. We don't want to win the elections again and then be put aside. We think it's possible, we think it has to happen now, we have the momentum. The question is, how we can make optimal use of it." "There is one thing you have to realize: if you work with us, sooner or later there's no doubt that will come to light. I'm saying it honestly: you will have to take annoying reactions into account. And when I say annoying, I mean it: hard, blunt and personal." 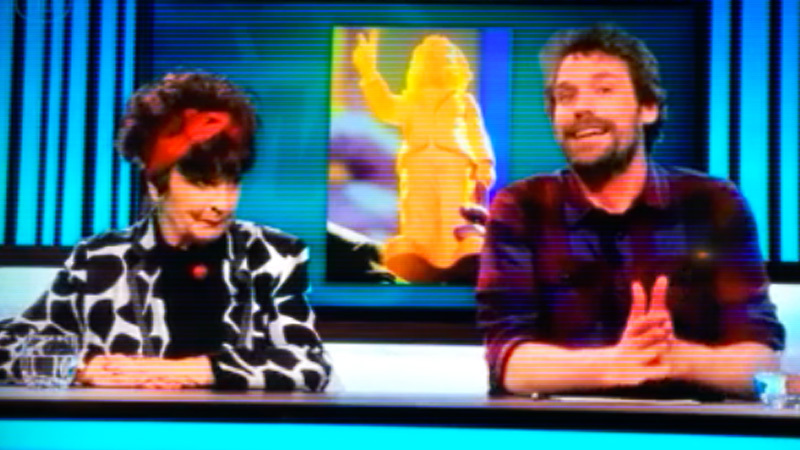 "I think we need an image that in one way or another expresses change. Something that takes root quickly and can also be easily used in all possible expressions. I have no idea what that should be, but fine, that's your job, right Erik?" Don't mess with the V, that's what it boils down to. Sticking two fingers in the air, anyone can do that, so that's already good. That it's been done before, well, so be it. It's about a symbol to which an overwhelmingly positive image adheres. We are facing the gargantuan task of providing the N-VA with a campaign that will have to withstand attacks from all sides. 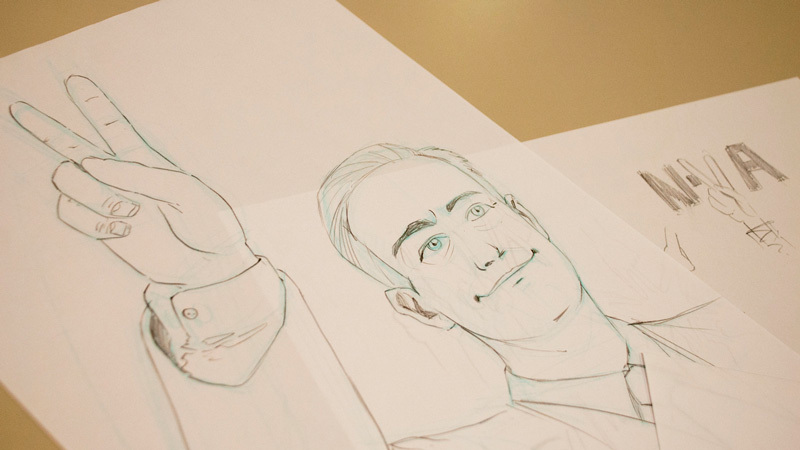 You can't halt progress – especially not if it starts to catch on in social media. Just look at the Arabic Spring. It started with a Facebook post … and the rest is history. 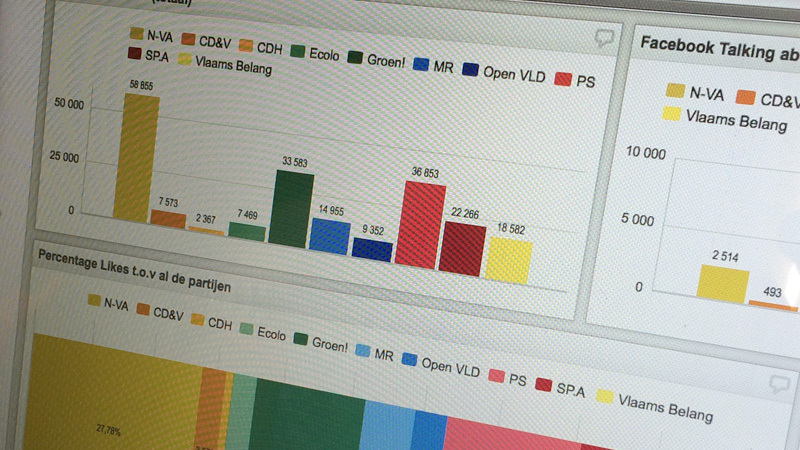 The percentage of voters now saying "yes" is so frighteningly high that I ask myself how, with everything that awaits the N-VA in the coming months, are we going to maintain that level of support in the voting booths? It's enough to make a guy break into a nervous sweat just thinking about it. We just can't drill deeply enough to reach more voter reserves to compensate in advance for the people who are now saying "yes" to the N-VA right now, but maybe later will be saying "uh … maybe not." Logical: you don't strive for change in order to go backward. Change is there to break through the status quo and improve what already exists. Change is something you do to make progress. "What if we don't call them election promises, but Commitments? Because isn't a commitment much more than a promise? Won't that feel like a sort of pact between party and people?" Damn. Commitments. 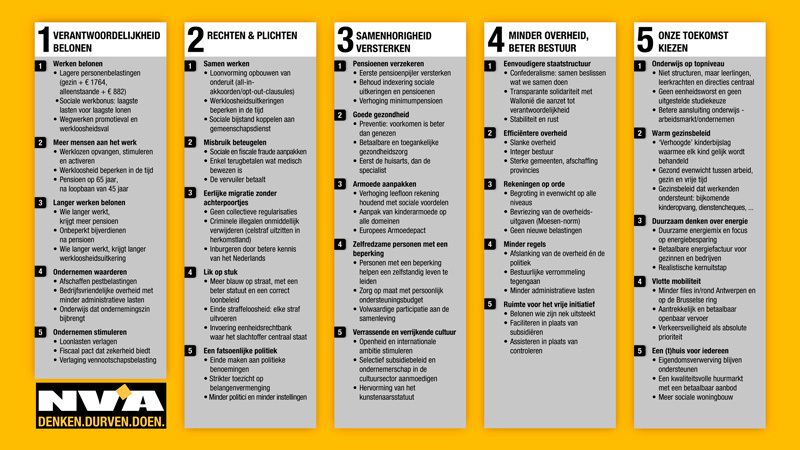 In Dutch "Verbintenissen" – yet another V.
When I come back into the meeting room the next day I still see the triumphant announcement on the flip-over: 25 Commitments for Change, 25 Commitments for Progress. Because now that we've got everything so nicely worked out, I see chances for the N-VA to surprise everyone and get the whole election circus going singlehandedly, catching market, media and political opponents off guard. The plan of attack is as follows: I will call several different media bureaus, ask them to sign the NDA, and only then tell them what it's all about. Then they'll have 24 hours to let us know whether or not they want to collaborate. And so you're left holding the bag. With hundreds of thousands of euros to spend, and nobody who wants to earn it. 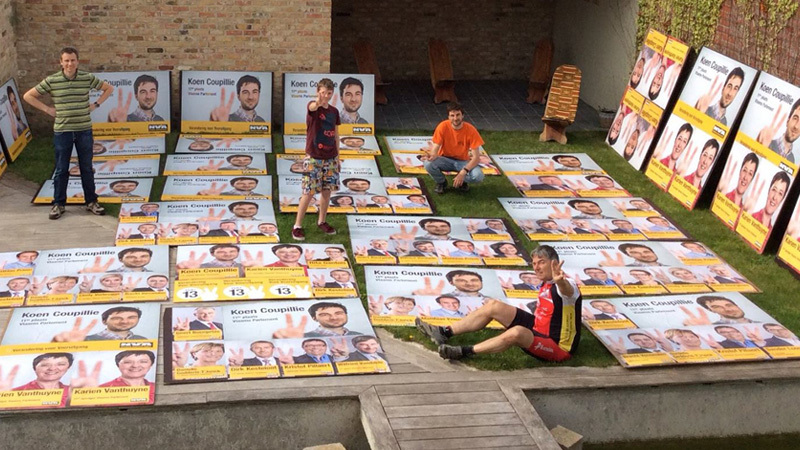 "Erik, in der Beschränkung zeigt zich erst der Meister." I have a sort of déjà-vu. In all projects and cases in which a brilliant idea has been found that really makes a difference, from the invention of free calling time at BASE to flippos in bags of Smith's chips, they all had one thing in common that proved decisive: extreme limitations. Sometimes financial, sometimes operational, legal, or whatever. Limitation is what drives innovation. 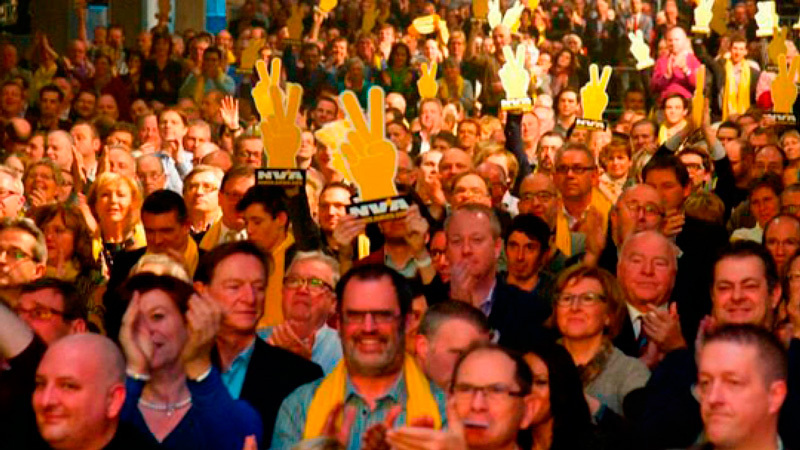 The N-VA party convention at the end of the month will be the start signal for our pre-campaign. Just because so many members will be present, we want to make them part of the online campaign on the spot. 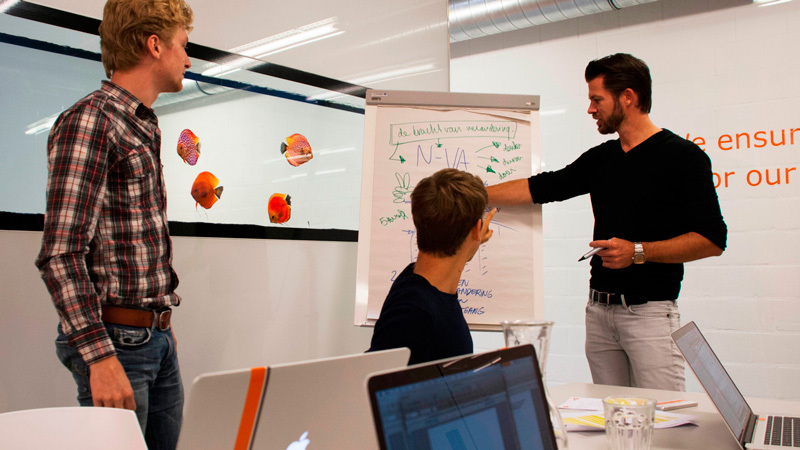 While I'm working at my office in Antwerp, Rogier calls. In his naïve Dutch way, he asks me if he can use that guy with the beard – you know, the one that looks like a gnome – for a Dutch film he's about to shoot. No, that's not such a good idea. 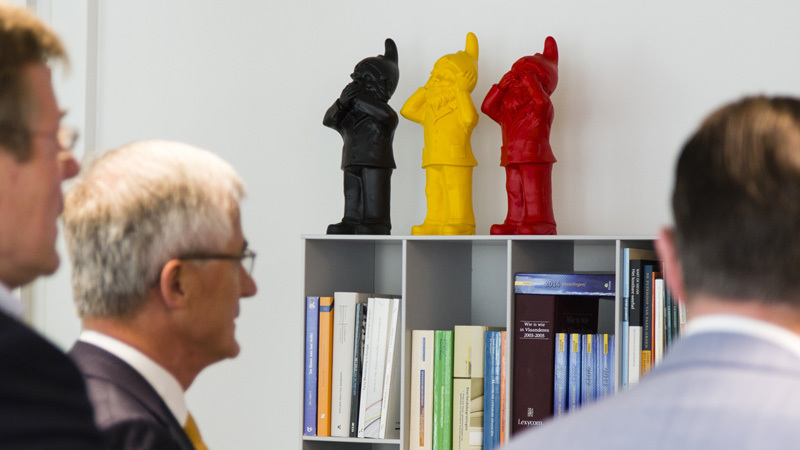 That gnome happens to be Jan Peumans, chairman of the Flemish Parliament. For a few days, stay-at-home mom Kris is suddenly a VIP, or rather, a VIP under fire. Joachim Pohlmann and Fons Duchateau clear their agendas and come to her aid. For a few days they make it their task to advise Kris and coach her in how to handle the situation. After all, no one had expected that the press would take the bait and bite back so venomously. 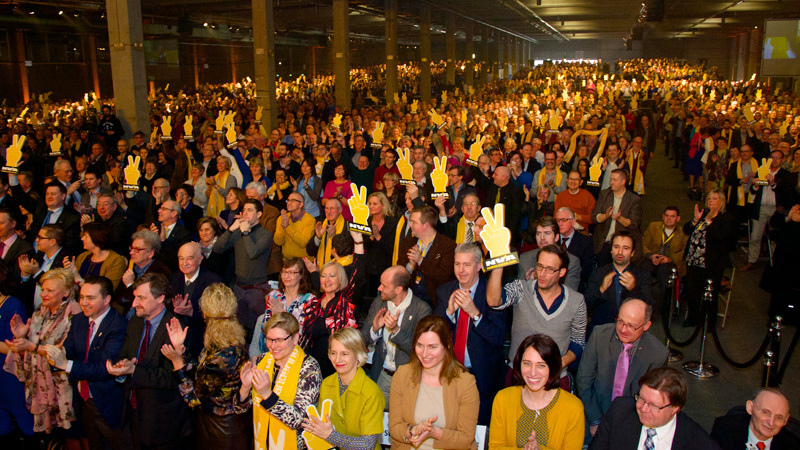 Bart turns the N-VA convention into a birthday party for Marcella Droogmans and while 4,000 people sing "Happy Birthday," he hands her a yellow N-VA gnome as a present. It wasn't the idea; it wasn't even thought out beforehand, but this will turn out to be the official birth of the yellow N-VA gnome. 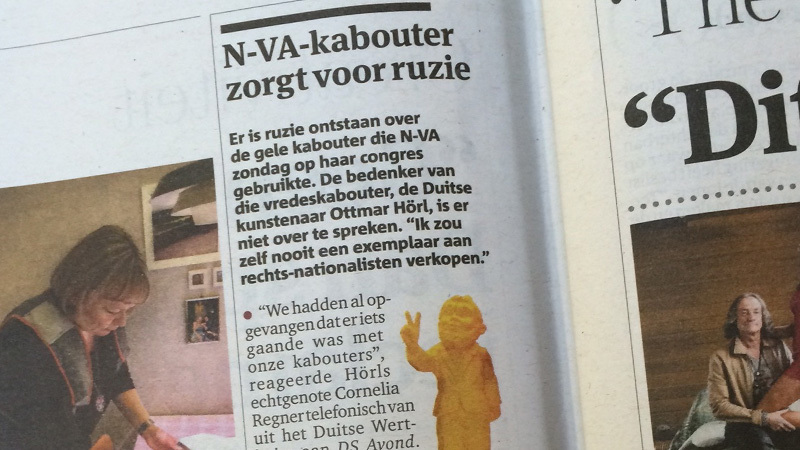 From that moment on, the N-VA's yellow V-gnome will begin to lead a life of its own; we don't have to lift a finger. That's because the gnomes in the press will do the rest. You can't refuse mail, it slips into the mailbox unannounced and as long as the CIA isn't screening your mail for death threats, strange powder or hacked-off gnome fingers, you have to open it yourself. But the Darkest Day of All came when the threats turned personal: "You'd better be careful that something doesn't happen to you personally; you've read Sun Tzu, haven't you? … or worse, that something doesn't happen to your wife and children; you're away from home a lot, aren't you?" Media responses are starting to have noticeably sharper teeth. Small things are greatly enlarged. Large things are milked for all they're worth, and more. 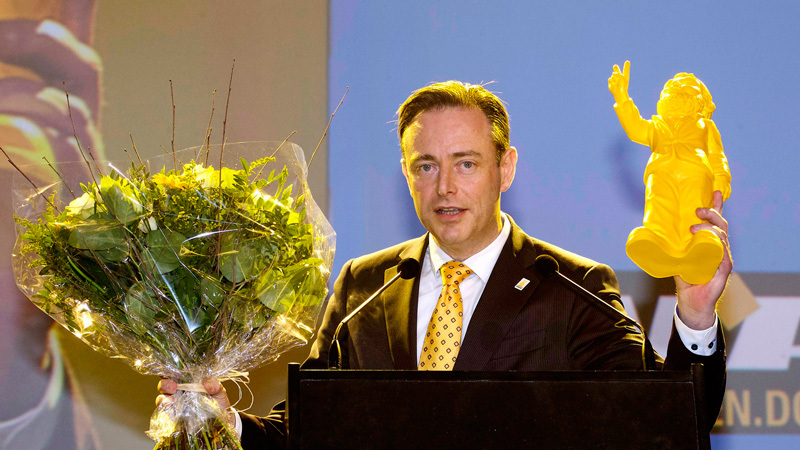 Political opponents of the N-VA are given all the room they need to spout off out whatever criticism they choose. Your opponent smells blood, literally and figuratively. I smell it now. They're bleeding – not only from the heart, but from their soul. Through blind arrogance, abuse of their supporters on the left, the demonization of their own militant wing, and so on, they contributed to the success of the N-VA without even knowing. Pride comes before a fall. Now they're going to fall. It is now May 25, 11:58 p.m. I'm sitting in my office at home in Antwerp. For the first time in months, I'm not reading blogs, not re-watching broadcasts, not reading newspapers. It's finished. It's over. This is it. 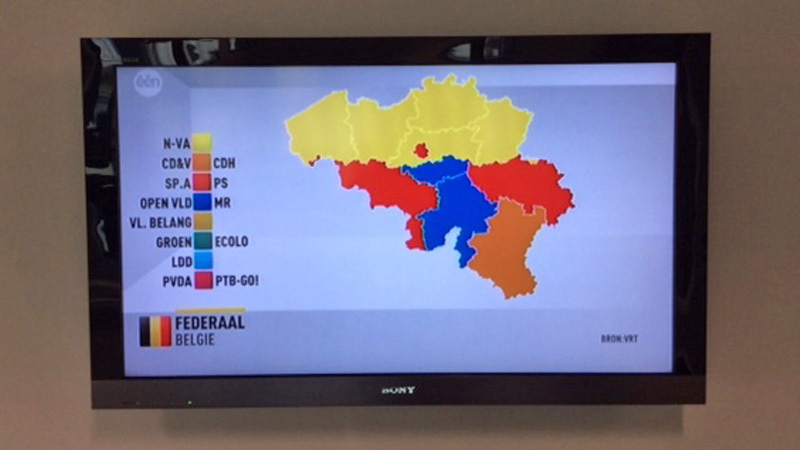 The N-VA won. The N-VA did not miss its date with history. 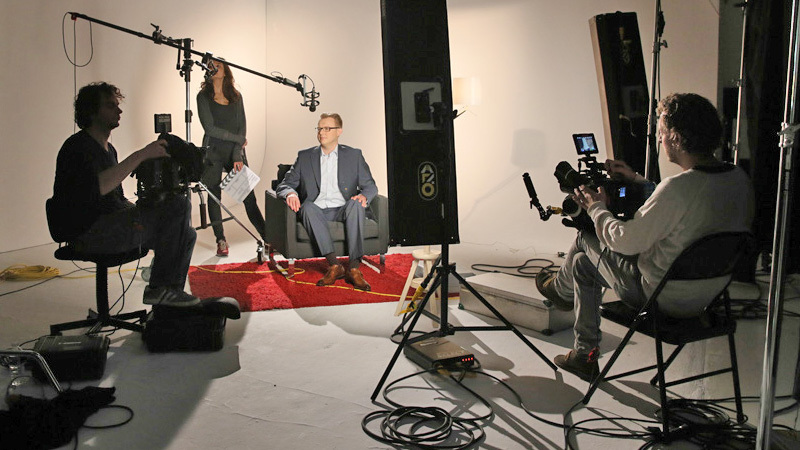 The journey that my team, the N-VA team, a number of loyal partners and I have made since we first embarked in July 2013 has been long and intense. A journey that can be summed up in a single word: courage. A lot of courage. 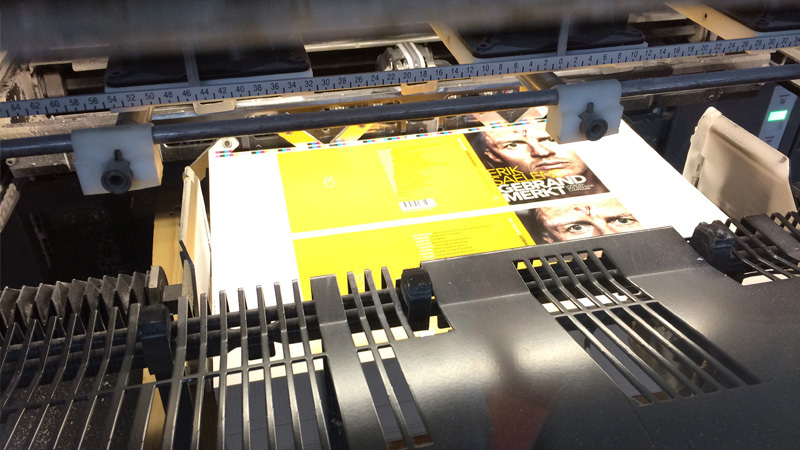 All proceeds from this book go to the Brandhome foundation. 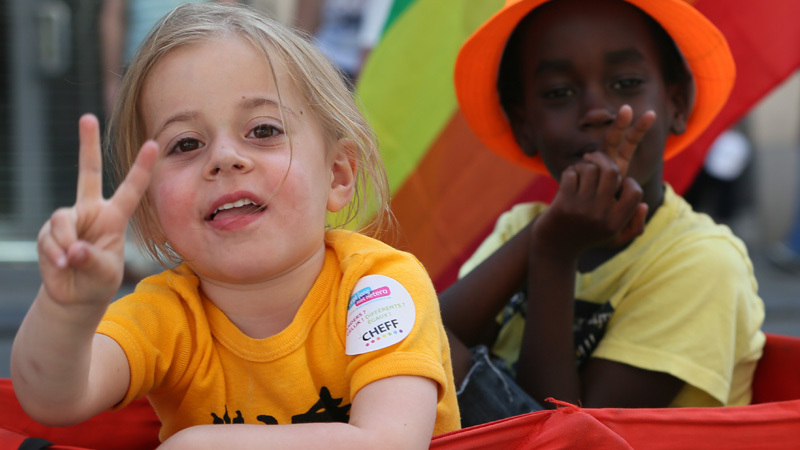 A non-profit organization that aims to support disadvantaged and underprivileged children in Flanders and the southern Netherlands. You can make your donation to the following account number or through our secure donation module. 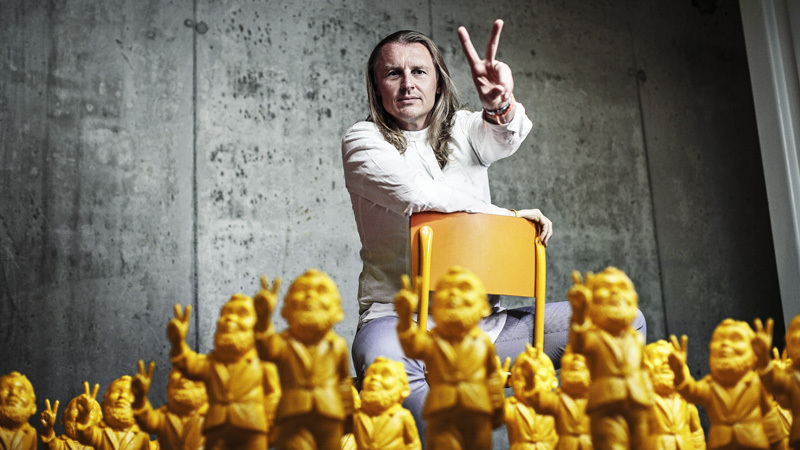 Erik Saelens (40) is the strategic director of Brandhome, the agency behind the 2014 election campaign of the N-VA. That campaign was for him a professional and personal turning point. 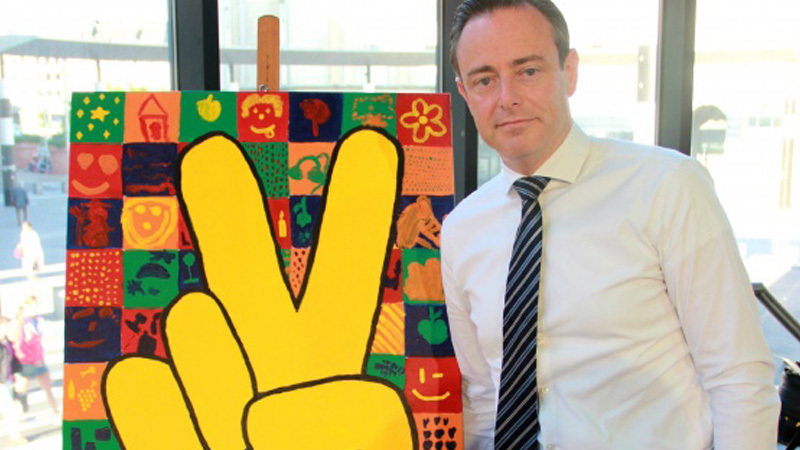 Professionally, he set a new standard for political marketing and communication in Belgium. Personally, Erik experienced the darkest moment of his life. He wrote the book 'Branded' to tell the story. 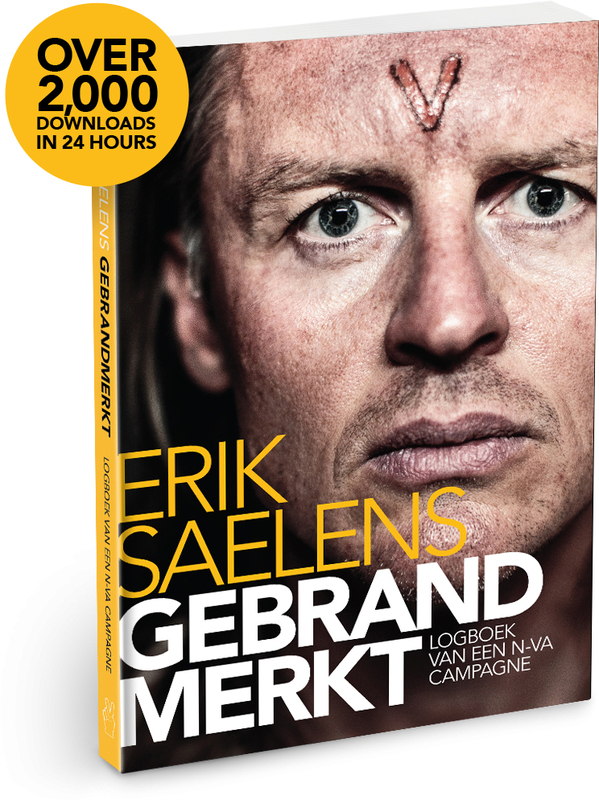 "Branded is based on the logbook that I kept since the first day of the 2014 N-VA election campaign. It describes my professional and personal experiences during this campaign and how the whole strategy, the whole concept and the whole plan behind it was formed. 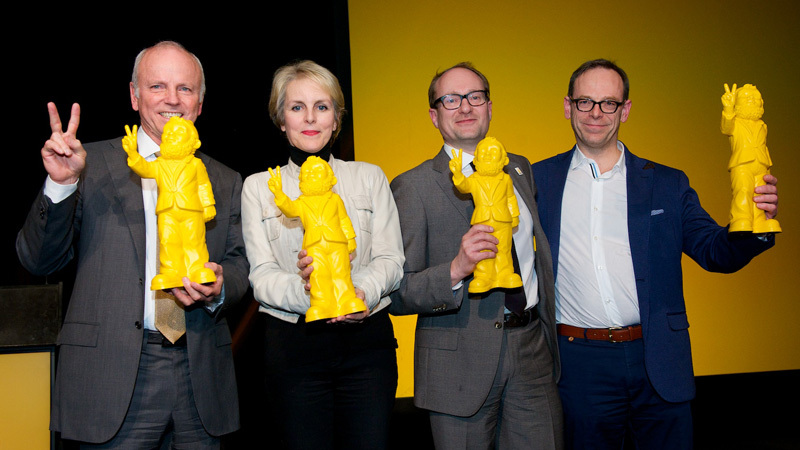 Many aspects are covered: from coming up with the slogan 'Change for Progress', to the yellow V-gnomes, to the 25 Commitment movies with the N-VA members and to the 'new-to-politics-in-Belgium' social media approach. The book contains only a fraction of all the notes I made, but it gives an authentic picture of this unique period of time so the reader gets the emotion of the moment. You not only get to know me as craftsman but also as father and as citizen. I confront the reader with the true story of what I experienced, however astonishing, pleasant or surprising." When did you decide to write a book about the election campaign? "It was not what I originally intended. But I kept a so-called content & contact log from day one. That's standard procedure for highly sensitive projects. 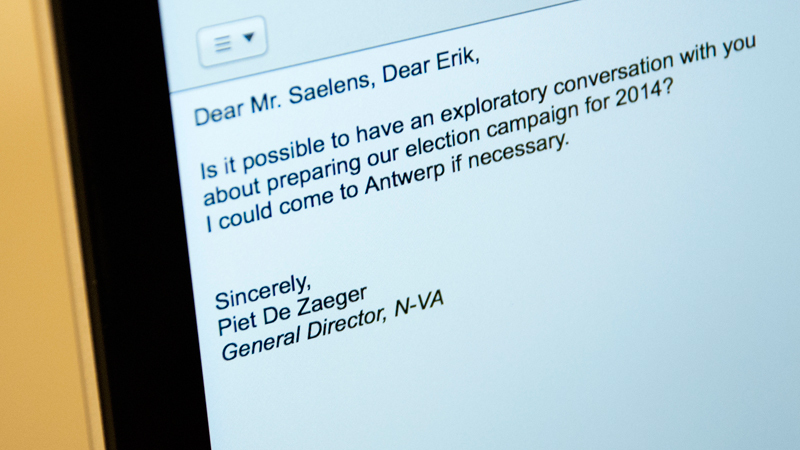 Somehow I must have known then that our campaign for the N-VA was going to be a special story. 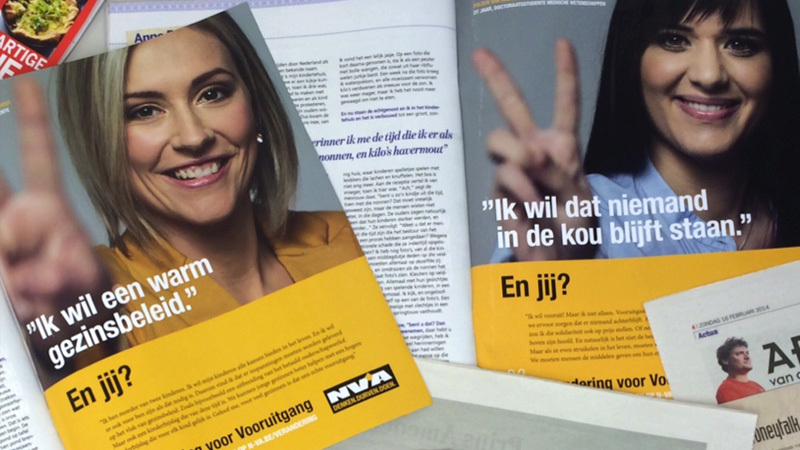 In the weeks after the Party Congress in full campaign, not only the N-VA, but also Brandhome and me personally, came under fire. It was then I decided to write the book because what I saw and experienced in the 2014 election campaign is abhorrent. I felt more opposition during that campaign than in my entire professional career. For me it was living proof that change in this country, in all areas and at all levels, is vital." 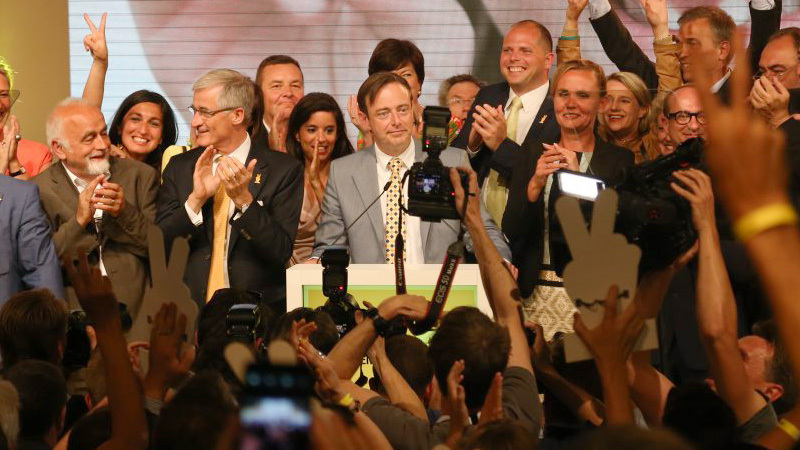 What's the secret behind the success of the election campaign? "Daring to think differently. 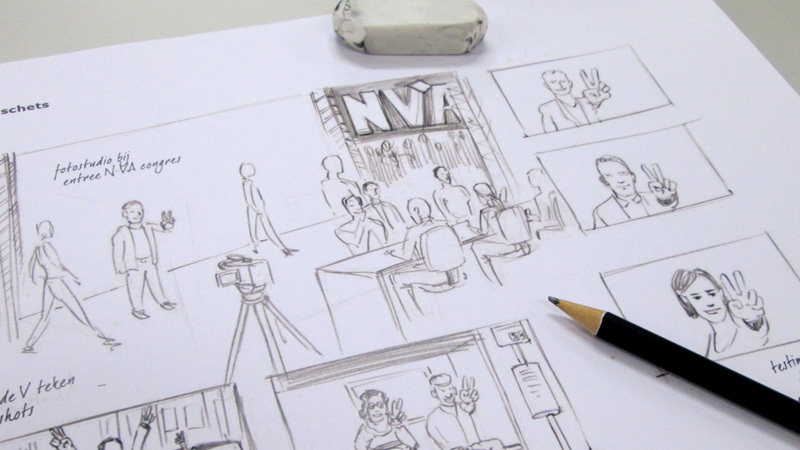 The power and willingness of both the N-VA and the Brandhome team to leave classical communication frameworks and thinking patterns behind led to direct conversations with the voters. With this fresh, out-of-the-box thinking we set the direction not only for the N-VA campaign, but also for the entire 2014 election. The N-VA set the agenda for everyone. And the other parties didn't get it until it was too late. 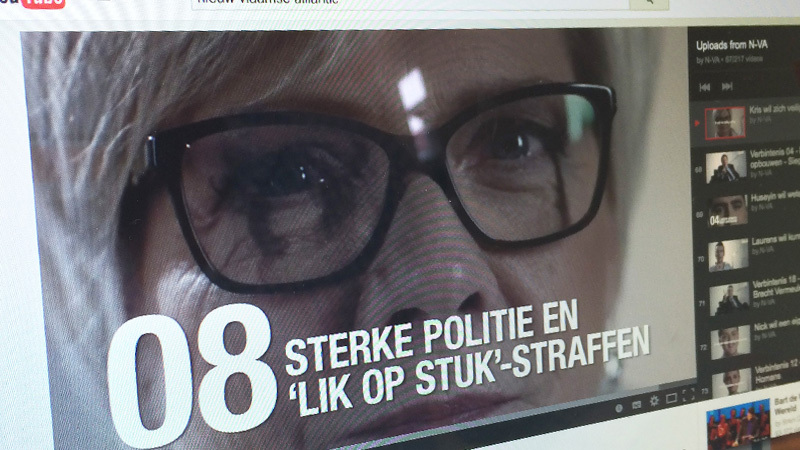 They were so busy working on every level against the N-VA that they did not realize they were strengthening our campaign. All this opposition only made the N-VA campaign stronger. 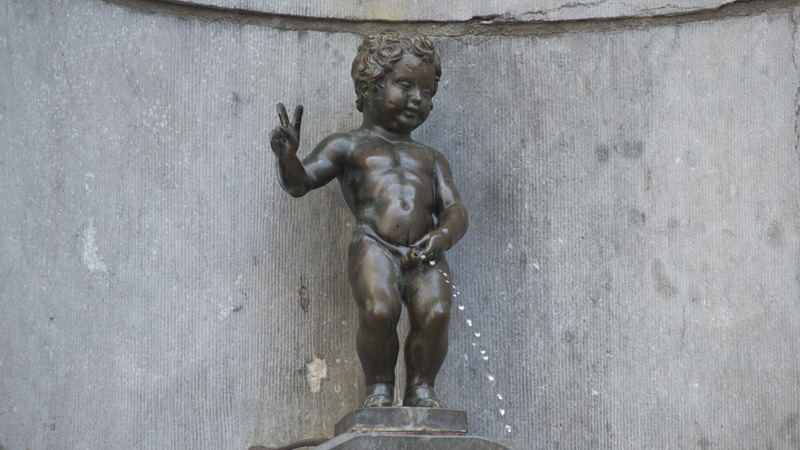 It will go down in the history of Belgian political marketing as a prime example of a failed 'everyone against' strategy that just convinced voters to choose for the N-VA, not against it."